Adaptation of Ip Man the prequel. More background story and nicely told. The 8th Copper Man in Shaolin. 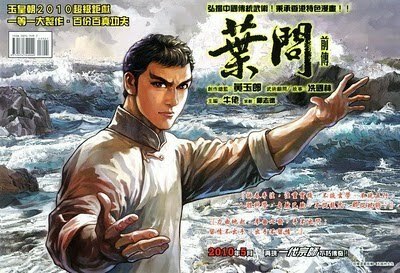 Retelling of the famous Shaolin/Zhang Sanfeng 张三丰 story by the very hip Taiwanese writer Giddens 九把刀. It's hot even in Thailand! Watch out for the next Giddens comic book - 功夫! Both can be found at Kino or Comics Connection.